A bridge naming controversy in Mon State continues as ethnic Karen leaders weighed in this week, cautioning that the decision could have far-reaching repercussions on attempts to broker peace in ethnic areas. The bridge fracas began last month when the Mon State Government announced plans to name a bridge connecting Mawlamyine Capital of Mon State and Chaungzone Township, Bilukyun [Island] after independence hero Bogyoke Aung San. Some local residents opposed the choice of name as a perceived “Burman” intrusion into an ethnic area. The more straightforward nomenclature, “Mawlamyine-Chaungzone Bridge (Salween)”, was favored among residents. Nai Thet Lwin, Union Minister of Ethnic Affairs said that the result of the bridge naming controversy and how the government chose to handle it could affect ethnic politics and also enflame long-simmering resentments. Nevertheless, Union parliament plowed ahead with the Bogyoke Aung San designation, announcing a final decision on March 15. At least one MP appeared uncomfortable with the choice, however. 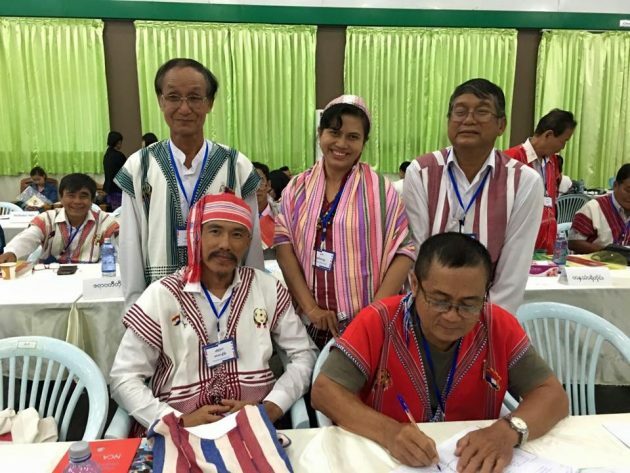 Saw Kyaw Moe, a member of the parliamentary ethnic affairs committee, said the naming decision could impact the peace process if the government continues to dictate decisions disliked by ethnic people. He added that the fight over the bridge’s name is seen as more than just a symbolic designation, but instead epitomizes the larger fight for ethnic self-determination. Saw Moshe, secretary of the Karen Literature and Culture Committee in Mawlamyine Township, said ethnic groups should show unity over the controversy. “If looking at the issue from the point of view of ethnic politics, [the government] will need to be careful,” he said.